to 1000BASE-LX on a port-by-port basis. 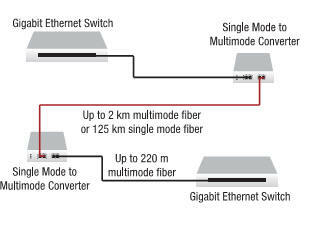 requiring the distance advantages of single mode fiber. 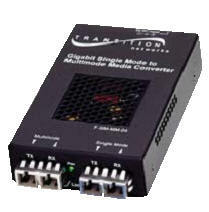 Used individually or in pairs, this mode converter can extend 1000Mbps Gigabit Ethernet or Fibre Channel signals over single mode fiber up to 125 km.